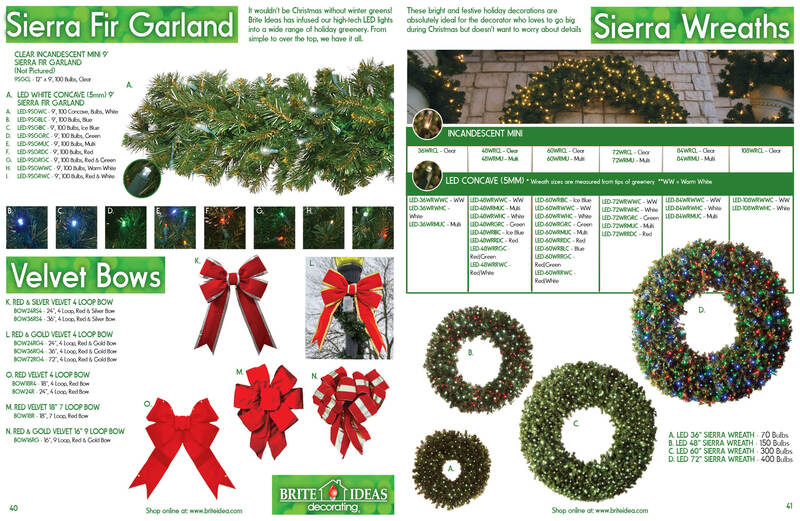 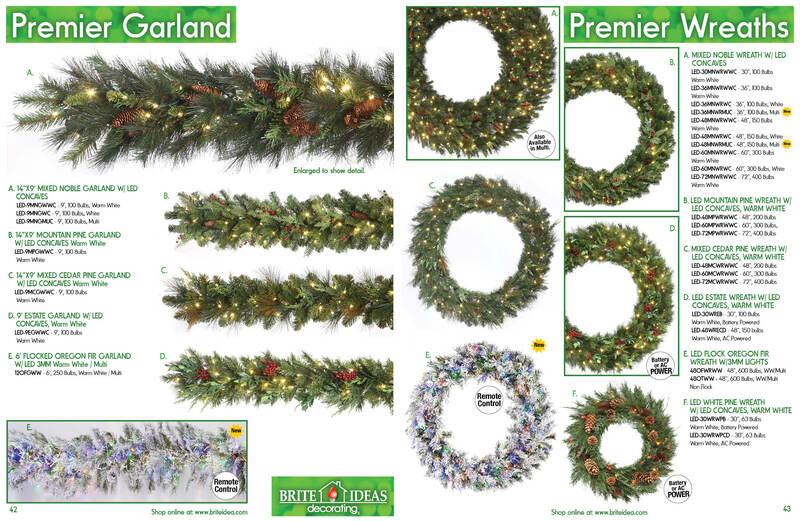 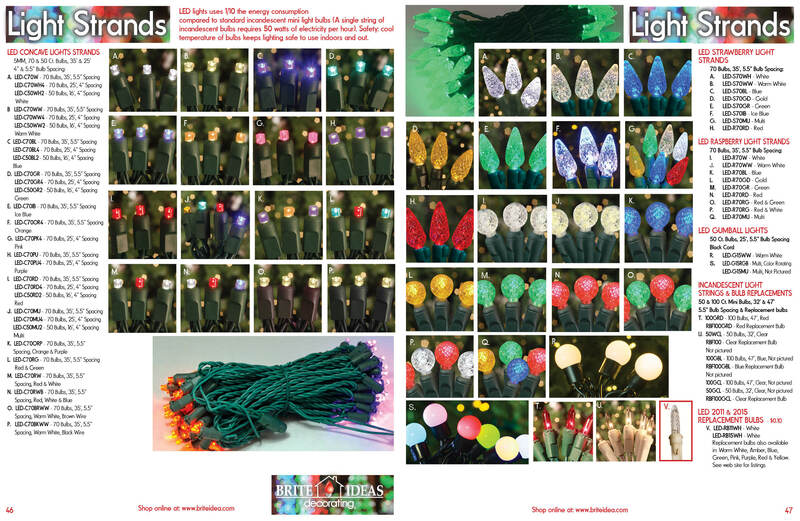 Brite Ideas Decorating set the standard for high quality holiday lighting nearly 20 years ago. 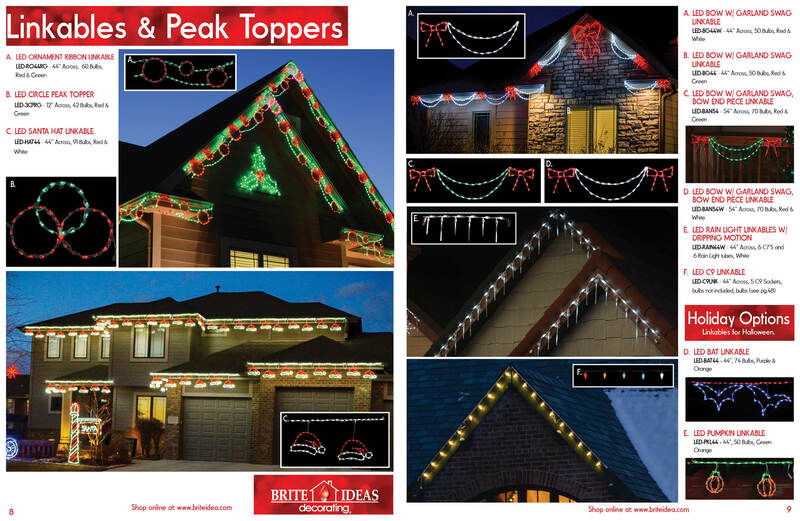 The tradition continues today as Brite Ideas Decorating is an industry leader with innovative products and cutting edge holiday lighting ideas. 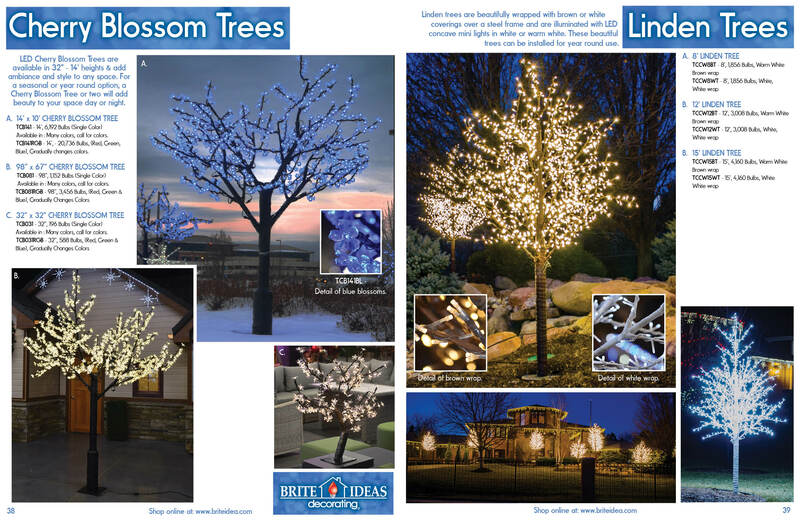 Brite Ideas Decorating expands from its original lighting options and developed the patented Linkable Lights and many other custom pieces. 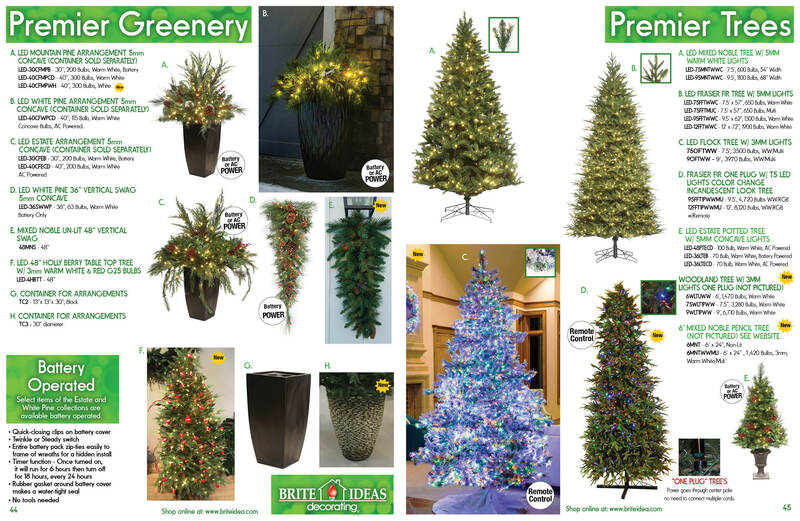 Free design consultations, installation, removal, and year round storage of all holiday decorations now offered. 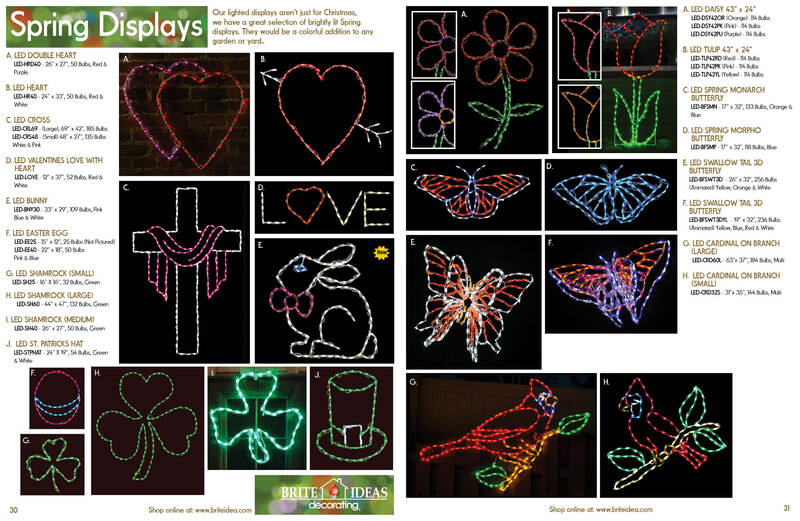 Brite Ideas Decorating decorates Omaha's Henry Doorly Zoo with over 100 custom displays. 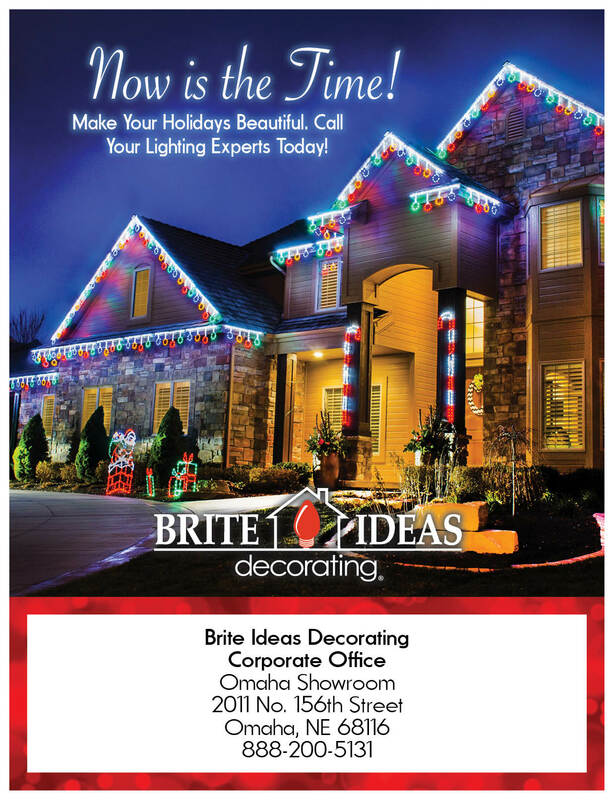 Brite Ideas Decorating serves over 300 Omaha homes and businesses. 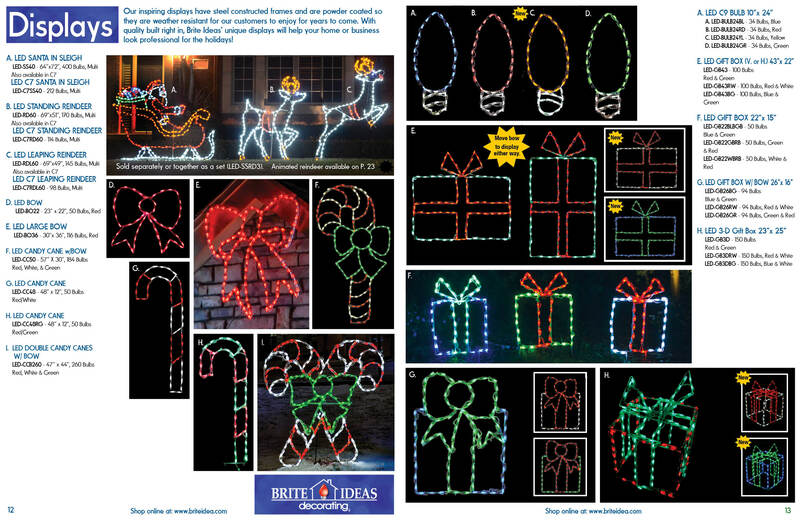 Brite Ideas Decorating expands the business even further by offering distributorships nationwide. 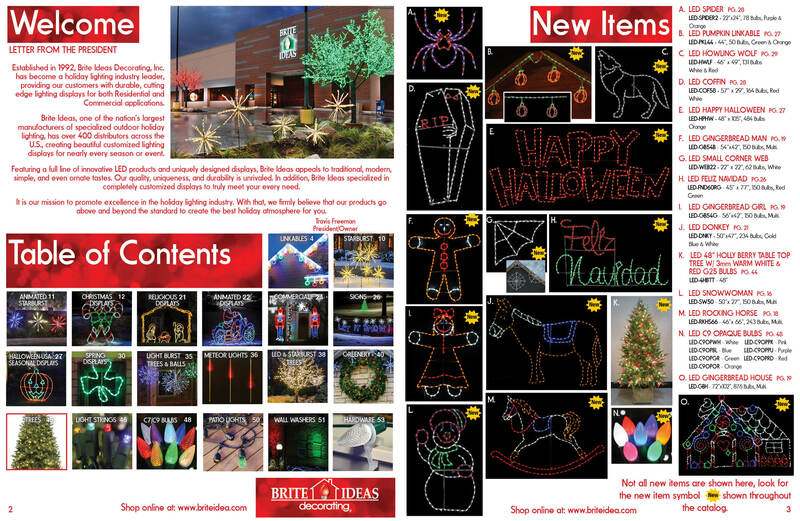 Within the first year of this new expansion, Brite Ideas Decorating supports over 15 new distributors. 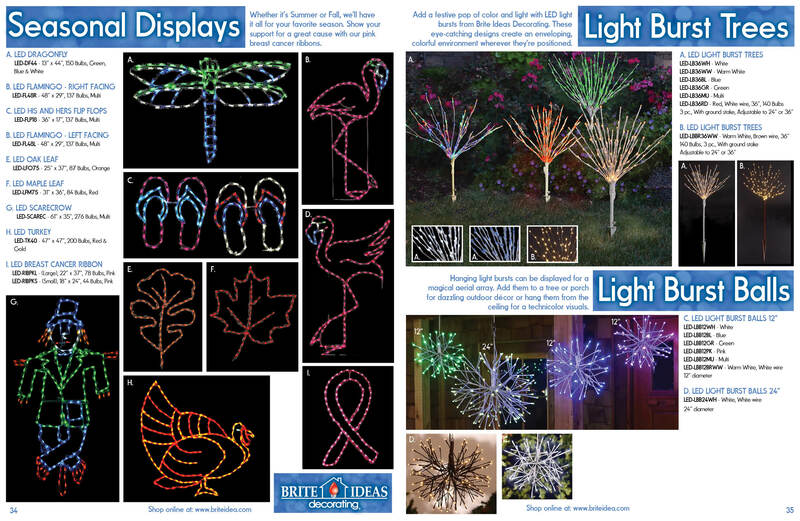 Brite Ideas Decorating celebrates its 10-year anniversary and holds the First Annual Distributor Convention in Orlando, Florida. 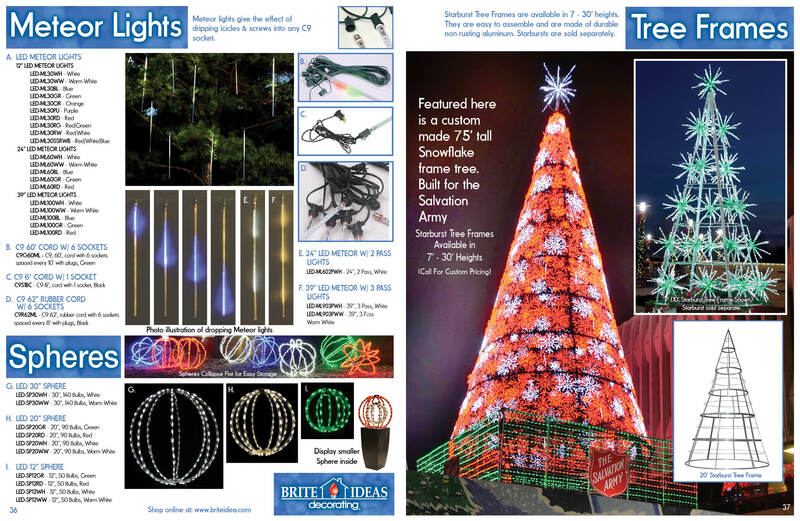 Brite Ideas Decorating expands its product line to include the latest in lighting technology, long lasting and energy efficient LED Lights. 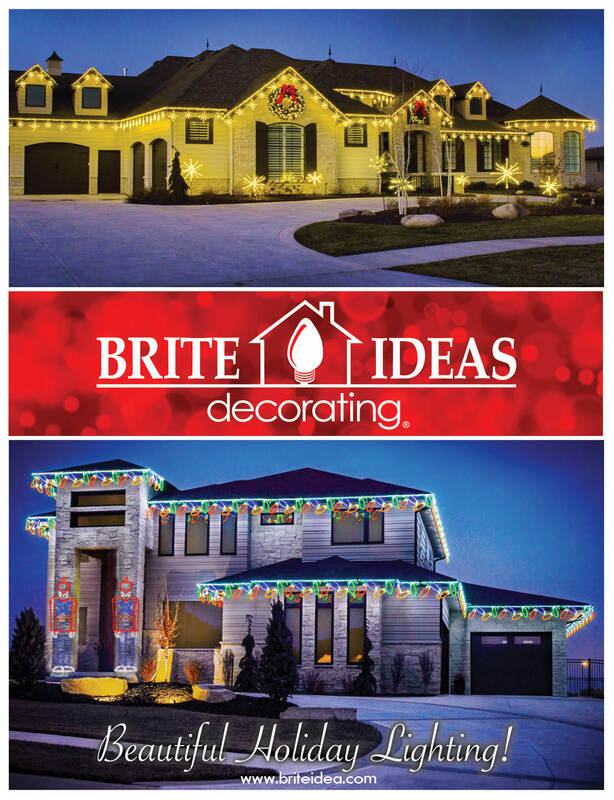 Brite Ideas Decorating Headquarters in Omaha suffers a devastating fire. 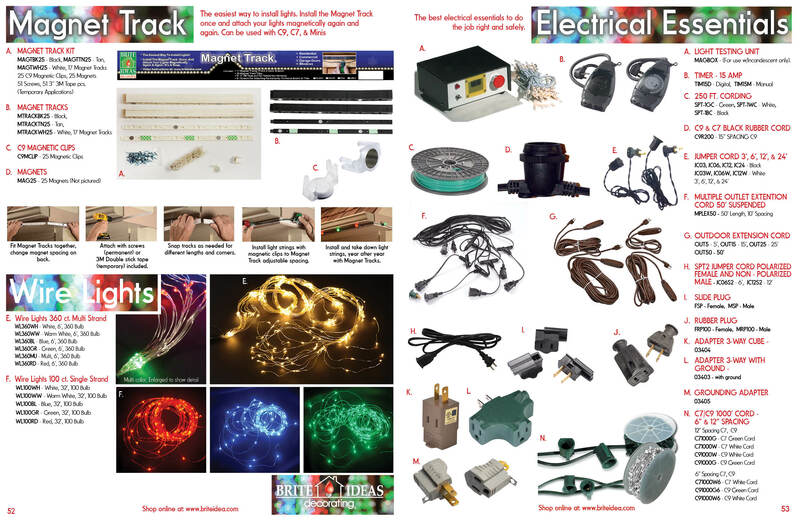 Lightning hit the building on August 10th, igniting the entire second floor in flames. 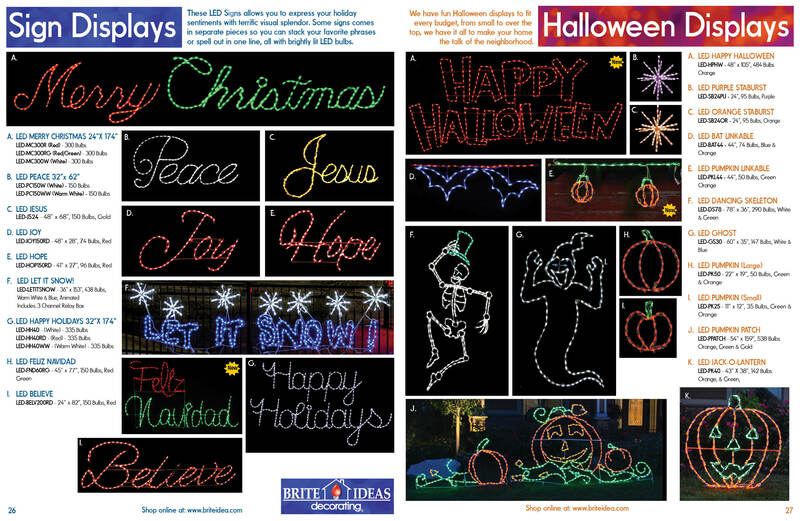 Brite Ideas suffered a $2 million loss - just a few months before the busiest time of the year. 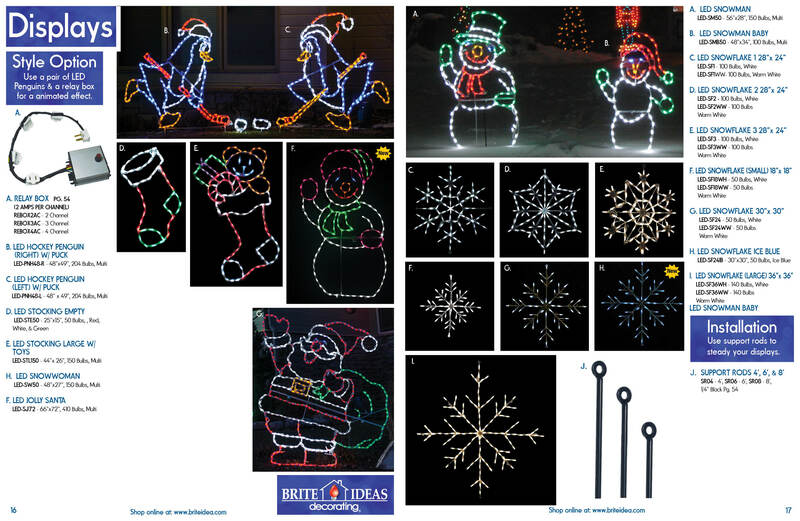 With the help of employees and friends, Brite Ideas Decorating opens for business at another location 24 hours later. 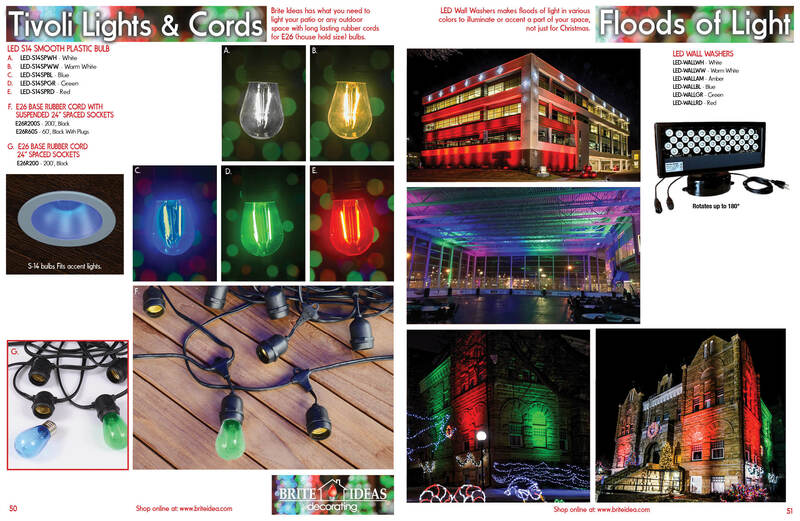 Brite Ideas Decorating moves back to the original building at 3852 Farnam Street exactly one year after the fire. 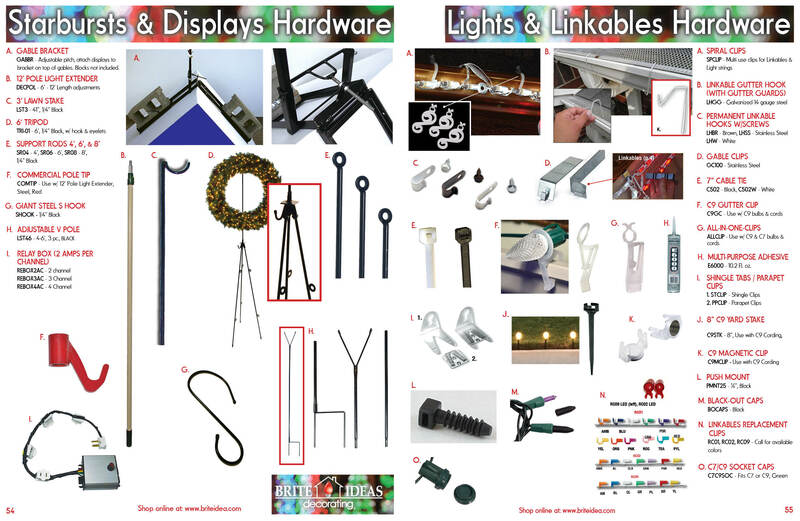 Completely remodeled, the headquarters serves as a retail showroom and conference center for new distributors. 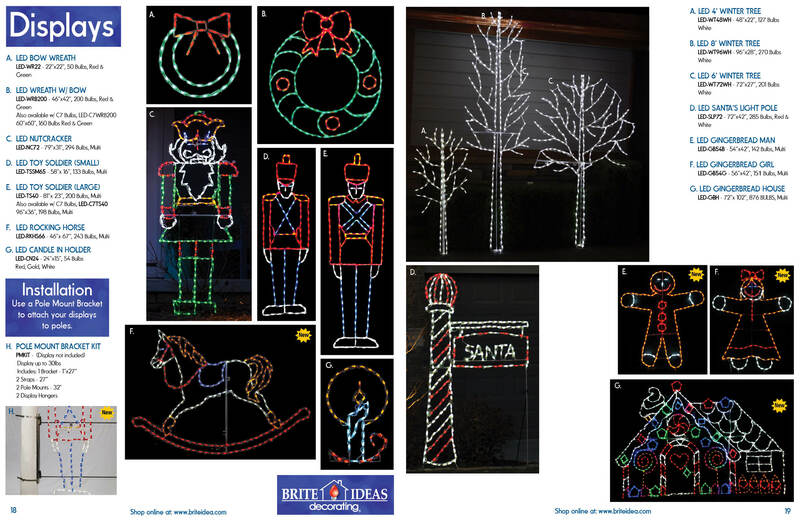 Brite Ideas Decorating develops a 33ft. 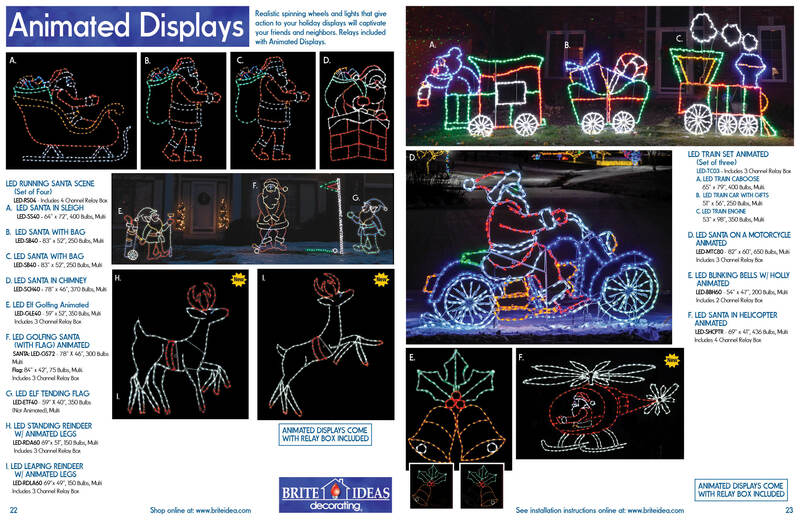 3-D angel with over 20,000 lights located in Fremont, NE. 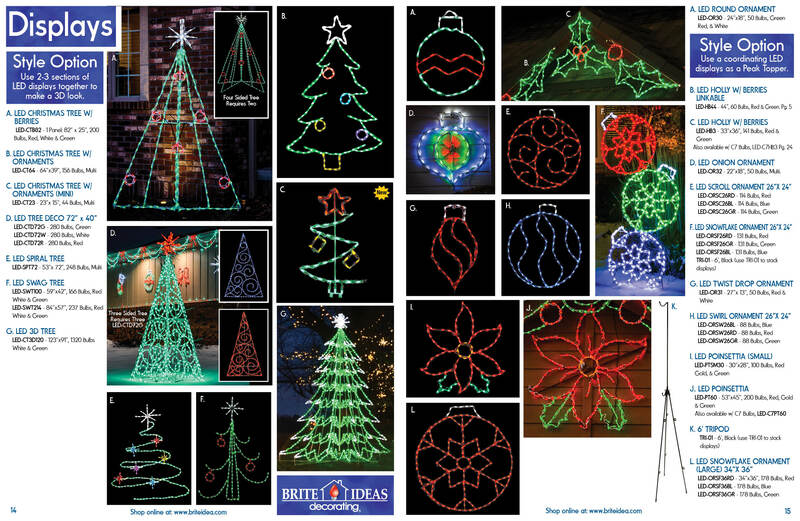 Brite Ideas Decorating teams with the Salvation Army and develops a 50 ft. Christmas tree made of steel holding 500 LED Starbusts for the Salvation Army's Tree of Lights campaign. 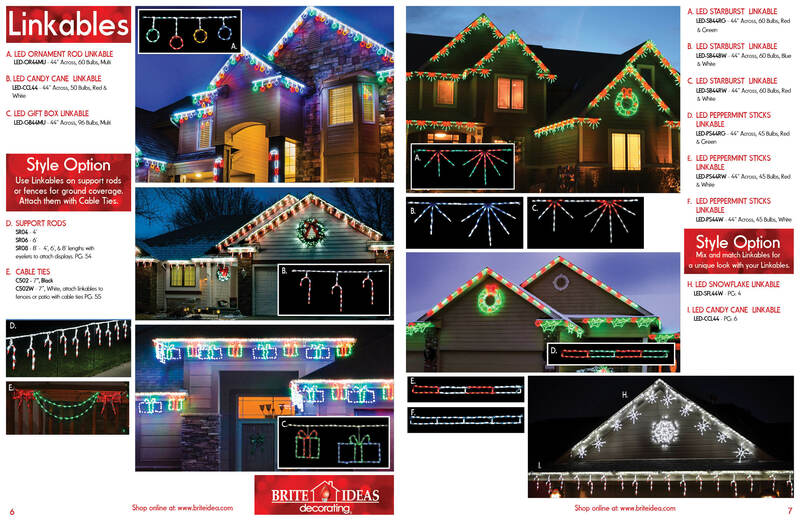 Brite Ideas Decorating has over 250 Distributors nationwide and welcomes the Mr. Electric Franchise as the newest distributors in the Brite Ideas Decorating family. 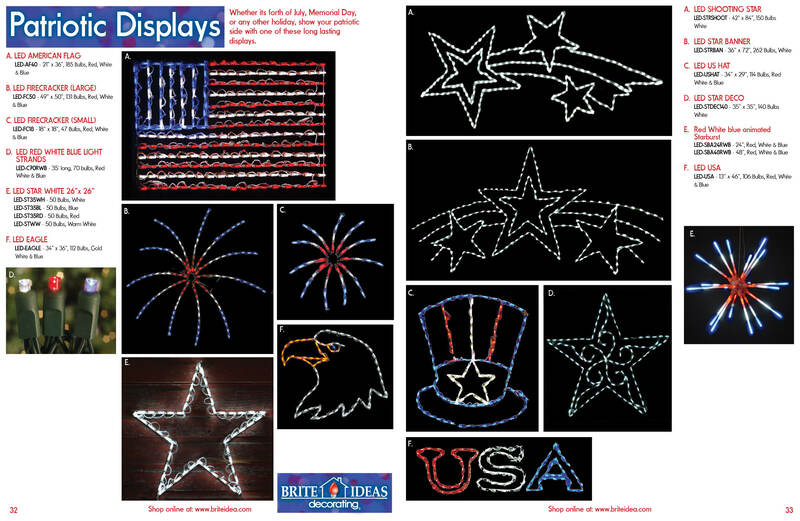 Brite Ideas Decorating launches its in-house print shop to Distributors, which sets the groundwork for the development of custom yard signs, banners, and vehicle graphics. 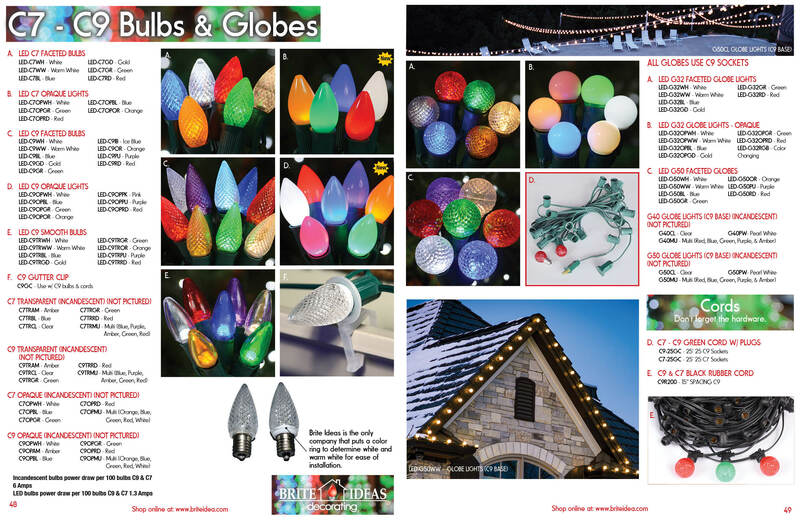 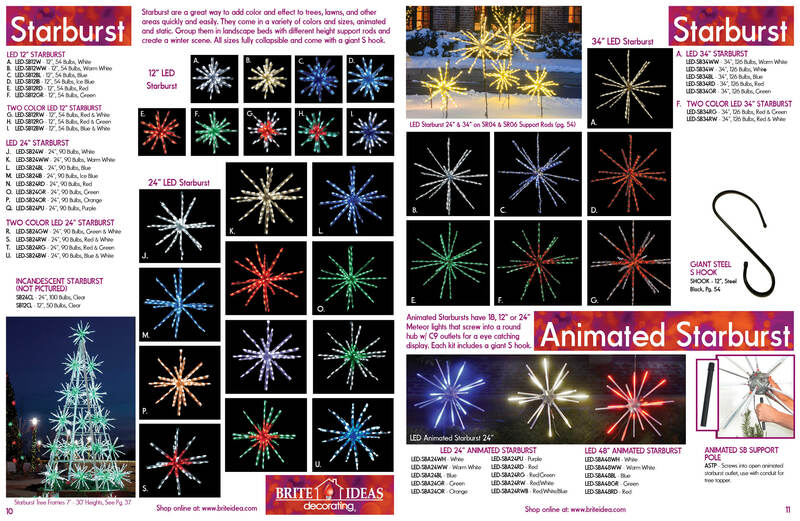 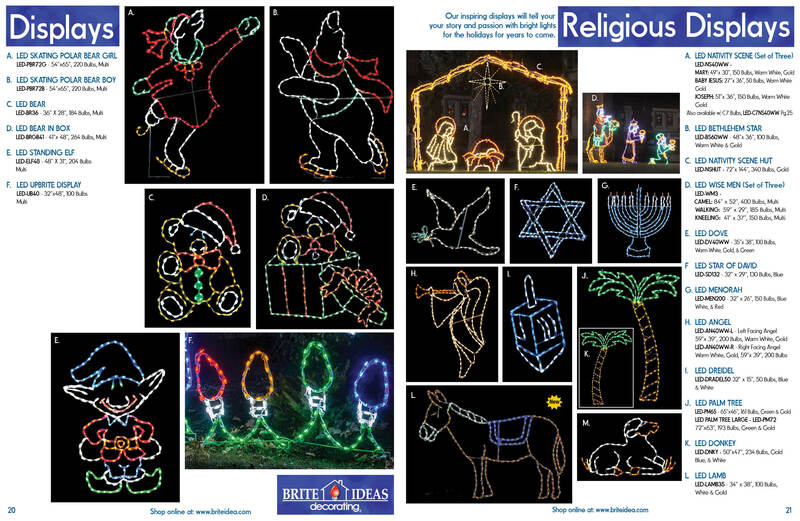 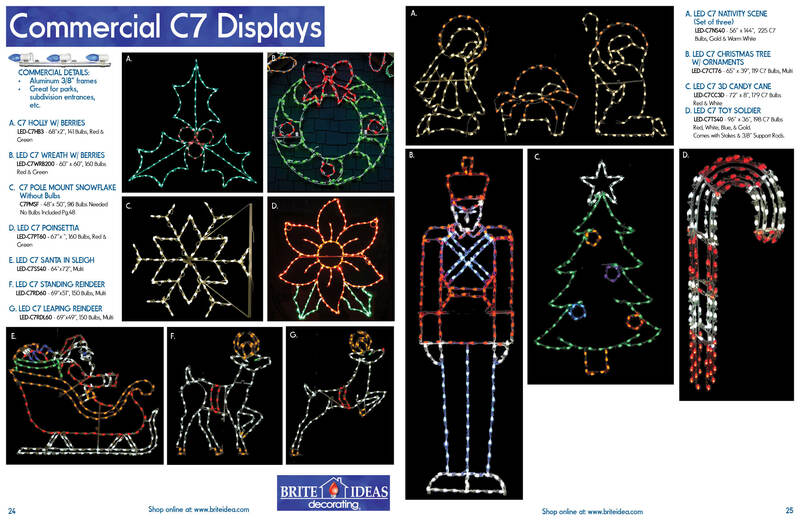 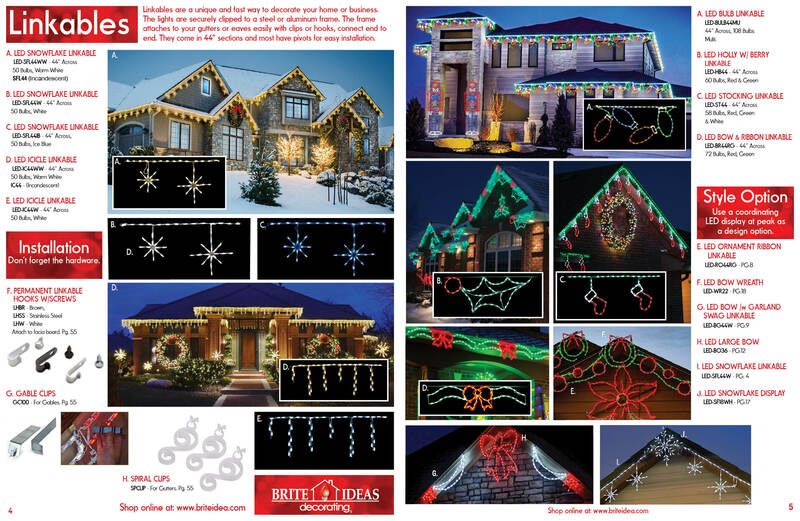 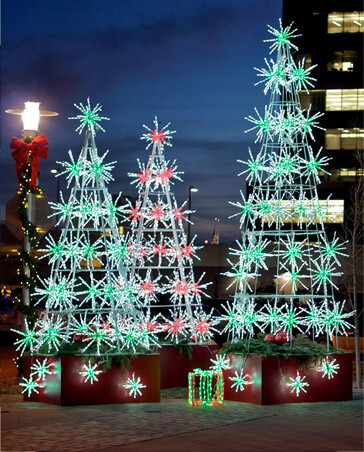 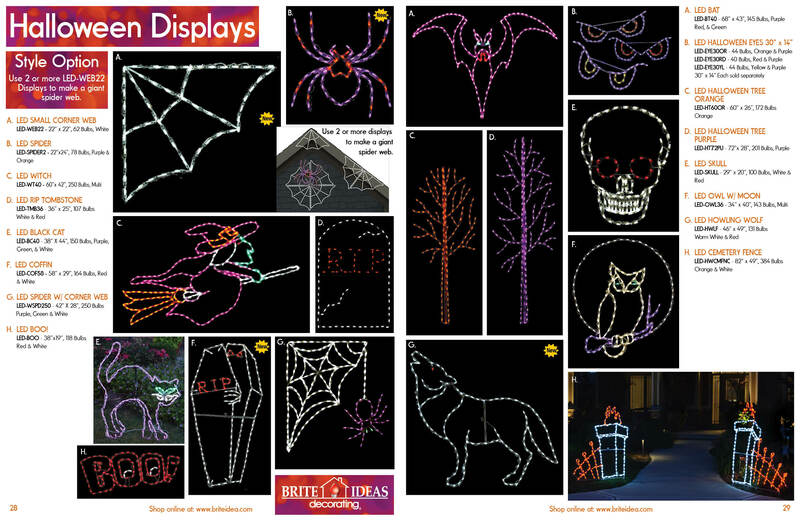 Brite Ideas continues to expand impressive LED product line and never-before-seen unique holiday lighting displays.